Would you love to stay with your teacher and time slot this coming Fall? I’m sure your teacher would love for you stay with them as well! 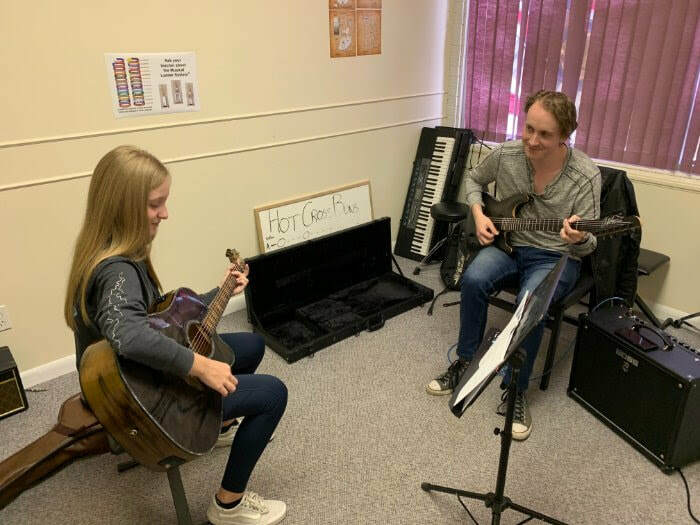 Lethbridge Music Academy is only a couple months away from opening its doors to our Summer students as most teachers tend to close theirs at this time of year. This means that if you decide to withdraw for the Summer, there’s a VERY HIGH chance that your time slot will be filled during the Summer. Don’t risk calling in August to find out your favourite teacher is booked to capacity! And don’t worry, you might be thinking, “But we’re leaving for a few weeks” or even months. Our Group Make-Up system is developed to accommodate just that! If you’re going to be missing 4 or 5 lessons over the Summer, or even the whole two months, our make up classes never expire! Take them at your leisure before hand or whenever you return. Or find a friend or family member to sub-lease your lessons to, and reclaim your spot when you come back. Q: Could we change our lesson to an earlier time in the day to leave room for evening family activities? A: Of course you can! But similar to withdrawing, it does run the risk of having a new student come in and take your time slot. Then at the end of Summer when you go to get an evening slot back we can’t promise you wont be looking at a 10 name waiting list. Q: I’ll just practice a lot this Summer and come back, I don’t mind if I get a different teacher or time. Could you just keep my records on file and resume in September? A: Unfortunately not. As much as we’d like too, in order to stay on top of our record keeping, we have to process all withdrawals according to what’s on our current schedule. This means that when you return we would have to re-sign all of the documents, restart the Musical Ladder, and the registration fee will need to be paid again as the registration process is very lengthy and time consuming. ***Is your house going to be invaded by kids this Summer? To our existing students only, if you add on an additional 30 minutes you’ll receive $50 OFF your first month’s tuition! This means you can get a little extra help on your instrument, or even experiment and try out a new one! Our next contest is a simple, but BIG one! We're giving away to one lucky draw-winner a $250 Amazon Gift Card! Refer a friend, and if they sign up for lessons, your name is automatically put on the draw list! We are so excited to announce our partnership with the Musical Ladder System! The Musical Ladder System is an international company which works with music schools to add fun to lessons and help to celebrate achievement! This program will be 100% optional for all teachers and students. Those who advance through the program will have their picture posted on social media (we won't post last names) and will shortly after receive their wristband or trophy. This program is available to all of our current students. One word of caution though, because this program is an international program based on current music students, if you decide to withdraw, you will need to restart from level 1. Which is another reason we're so happy to offer our group make-up system! Take advantage of our all year music programs, and continue to become the musicians you were meant to be! So go ahead, ask your teacher to help you sign up TODAY! And a HUGE welcome to our new students for April! !